The Fullstack Tutorial for GraphQL — A comprehensive video series taking you “from zero to production” with React examples based around Apollo and Relay. High Performance React: 3 Tools to Speed Up Your Apps — Including the browser devtools’ perf timeline, why-did-you-update, and a Chrome extension. React Boston 2017: Sept. 23-24. 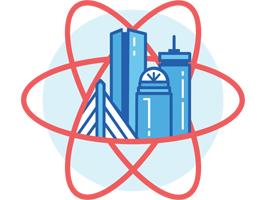 Tickets On Sale Now, and CFP Open — Get your ticket today for New England’s first two-day react conference, this September, in the heart of Boston! 15+ talks on react.js focused topics. Call for speakers open, tickets now on sale - buy yours before it sells out. Microcosm: A Data Layer For React — Microcosm is a general tool for managing state, splitting up large apps, and structuring React code. Logging in React Native — A look at logging options for your Native apps. Rebass: A Suite of 60+ React UI Components — Including cards, labels, buttons, toolbars, dropdowns, and many more. Add Powerful UI Components to your React Apps with ExtReact — Learn how to build data-intensive, cross-platform web apps leveraging over 115 Sencha components and React. Revalidation: Higher Order Component for Forms in React — Write your forms as stateless function components.